If there is a company that represents all the American values, tradition, and reputability, it’s Ralph’s. Founded in 1873, the store was originally named Ralphs Grocery Company and quickly rose to prominence in its native town of Los Angeles, California. Ralphs has always been a pioneering company, creating the well-organized Ralph’s home delivery service. As a matter of fact, it was among the first to offer self-service stores and employ check out stands. Resulting in services such as Ralph’s Home Delivery, the company’s innovative spirit thankfully extends to the present day. With that in mind, this guide will go over the most notable characteristics of this excellent service. The Southern California-based grocery store chain Ralph’s began offering a home delivery service relatively recently. However, the service has already gained tremendous popularity due to its wonderfully convenient online system. Ralph’s Home Delivery uses ClickList, an online grocery ordering platform dedicated to both creating grocery pickup lists and delivering to the homes of the customers. The service functions through either the ClickList online site or Ralph’s mobile app. It features over 40,000 items that clients can add to a shopping list for either delivery or pickup. Either way, you can pay online using credit or debit cards. Currently, the service is available at twelve of the company’s Southern California stores. To fit the Californian urban lifestyle, the store has expanded its delivery hours, now going from 7 AM to 9 PM through the entire week. Although the delivery service may vary according to the store providing it, it’s always conducted by trained Ralph’s employees. The Ralph’s stores in Southern California that are compatible with the ClickList delivery service has been rapidly increasing over the last year and a half. Today, there are twelve different locations that fulfill online orders both for curbside pickup and home delivery. It’s important to note that all these locations use the same ClickList account information and have the same terms of service. As we mentioned previously, Ralph’s Home Delivery functions between 7 AM and 9 PM. In order to be as convenient as possible, Ralph’s has decided to provide this service seven days a week including holidays. As for how long it takes for customers to get their orders, it depends on the modality. Curbside pickup orders require customers to choose a one-hour window in which to arrive at the store of their choosing. At the time of their arrival, where their grocery list will be waiting for them already packed and ready to take home. On the other hand, the Ralph’s Home Delivery service modality guarantees that you will get your groceries within a one-hour window provided that your location is listed as an official delivery area. Unfortunately, fees for the ClickList service from Ralph’s Home Delivery vary according to the region and other factors. Customers can see details regarding Ralph’s Home Delivery fees online at checkout or in their local stores. It’s noteworthy, however, that the fee for both curbside pickup and home delivery is waived for each new customer’s first three orders. The fees are also subject to be reduced through the use of coupons, fuel points, and rewards that are made available through Ralph’s online site and app. 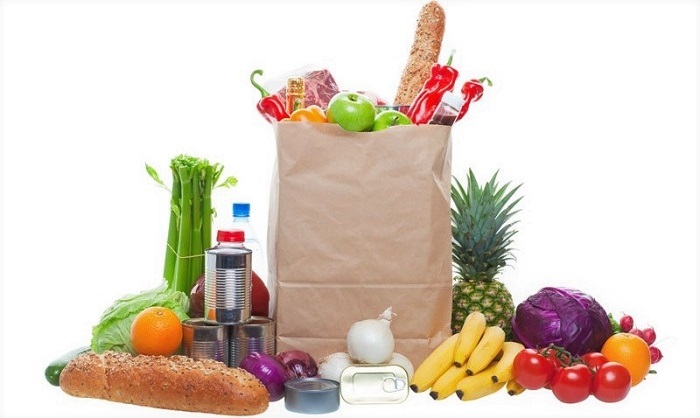 Apart from the main aspects of its service, Ralph’s Home Delivery has various other features that have the purpose of making the life of customers easier. Up next are the most important ones. Ralph’s is a chain that one could characterize, among other things, as a place that carries a huge variety of products. Apart from food, it even has its own pharmacy service. The pharmacy also gives customers the possibility to get their items delivered to their home, including prescription refills. One of the most interesting features of the online shopping service that Ralph’s uses is its personalized product suggestions feature. Put simply, it recommends products based on a customer’s previous purchases, saving them time and introducing them to other products that they may enjoy. Using Ralph’s app regularly will earn you digital coupons. Moreover, you can exchange them for discounts on both products and services. Additionally, users will enjoy exclusive access to promotions and personalized offers. Customers who have questions, suggestions or complaints can talk to a friendly and courteous customer support employee that will do everything possible to be of assistance. One can access this service both online and by calling the number 1-800-576-4377. It is available Monday through Friday from 8:00 AM to Midnight EST. Saturday and Sunday it opens from 8:00 AM to 9:30 PM EST. There is no doubt that Ralph’s delivery service is among the best in the country. It’s fast and simple without ever losing sight of customer service. While its association with ClickList makes it conveniently automated, the service is constructed around a personal, warm, and friendly attitude towards customers. As if this were not enough, its app provides quick and easy access to the service from basically anywhere in Southern California. Have you ever tried this home delivery service? Let us know in the comment section! Hey Buddy!, I found this information for you: "Ralph’s Home Delivery 101: Areas, Hours, Fees". Here is the website link: https://all2door.com/ralphs-home-delivery/. Thank you.